We want to wish all of our friends a very Happy New Year - filled with health, happiness, love, friends and family, lots of walks, toys, fun, play, and above all, a nice full tummy! And for fun! I will not play tug-of-war with Daddy's underwear when he's on the can. I will remember the garbage collector is NOT stealing our stuff. I will not suddenly stand straight up when I'm lying under the coffee table. I will shake the rainwater out of my fur BEFORE entering the house. I will not eat the cat's food, before, or after, he eats it. I will stop trying to find new places on the carpet when I am about to throw up. I will not roll on dead things. I will stop considering the cat's litter box as a cookie jar. I will not wake up Mommy by putting my cold, wet nose up her bottom end. I will not chew crayons or pens, especially not the red ones, or my people will think that I am hemorrhaging. I will not drop soggy tennis balls in the underwear of anyone who is sitting on the can. I will not bite the officer's hand when he reaches in for Mommy's driver's license and car registration. Read more great New Year's Resolutions for pet owners from a veterinarian's perspective! Check out Norman the Poodle's New Year's Resolutions. Visit the Poodle (and dog) Blog to read what the pups have to say for the cats New Year's Resolutions! Visit the Humane Society of the United State's Top Ten New Year's Resolutions to help pets. If you're a bad pooch, read Puppycoat Junction's 10 Naughty Dog New Year's Resolutions. 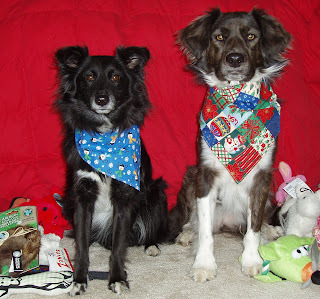 And if be sure and check out my New Year's resolutions for an aspiring green dog! My year in review! We're talking agility, life, fun, family, friends and blogging! It has been a really big year for me. And I am grateful for every minute of every hour of every 365th day! January 1st was my debut on Blogger. I had had a blog on my website since 2004, but folks couldn't comment and it was difficult to communicate with my Internet friends. So on January 1st of this year I officially became a Blogger-holic! And I've made some incredible friends - of all shapes and sizes, all ages, with varying numbers of legs, and from all points of the World. It has been one of the best things in my life this year - besides agility of course! In January and part of February I was still recovering from my broken foot, oh, and fighting with the folks at the kennel where I got my broken foot. Finally in April their insurance company agreed to pay my medical expenses (beyond what my health insurance covered) and make a nice donation to my shelter. The whole ordeal was finally over. I recuperated with hydrotherapy, and physical therapy after I got my cast off on January 9th. 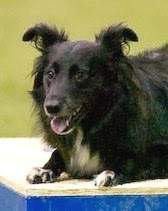 March was spent rehabbing and starting up with some agility practice, after being off agility since November 2006. And after about two months with a cast on and four months of rehab, I was finally able to compete in my first agility trial after the accident. The best part about that was that Mum finally knew for certain that I could do agility again. And boy did we celebrate! With a nice DQ ta boot. We had a blast that day, I'll never forget it. Gracie stayed with a friend and it was just me and Mum over in Ohio. One of the best days of both of our lives together. About two weeks later, Gracie and I competed in the first USDAA trial of the year. It was Gracie's first trial ever and she did pretty good! One of her best trials of the year. But what I really remember most about the trial was the rain, the snow, the mud and the cold! It was snow agility! I got a few Q's, but it was such a disastrous and comical weekend, andt we felt we probably shouldn't have even been there. Especially after my injury. I came away from that trial with four Q's out of seven runs, my first Steeplechase Q and my first placement in Masters with a nice 2nd in Jumpers, despite all the slush. Gracie didn't get any Q's but had some incredibly nice moments. We spent the next month or so working on my 'after injury' weave speed, utilizing various methods from luring to hand movements, rewards and more. It's always a work in progress, but I am getting faster in my weaves all the time. Gracie has amazing weaves, always has and probably always will. Mum discovered so much more about teaching a pup weaves from the time she trained me to the time she trained Gracie, and it's really paid off with her. Nice job, girly! Another trial in USDAA in April. A good trial where I ended up with 5 Q's out of 9. Got my AAD, ASA and my AG in that trial - well I thought I got my AG. Seems that the USDAA office found an error and I really didn't get that nice, last Advanced Gamblers Q. But didn't find out until it was time for our next USDAA trial. Dang, thought I had bagged that little elusive bugger. By this time I still wasn't running very confidently. Heck it was our first full year in USDAA by that point. Mum looks at some of the vids from back in April and sees a kind of slow, unsure, kind of shy pup. So our mission was to 'get over that' this year. And I think we've pretty much succeeded, but I'll get to that later. Early in May, we went over to visit my Ortho and showed him how well I was doing. It was such a fun day - mostly because they didn't torture me on this visit and I got to play with my Orthopedic Surgeon Doc Stephan at the Indianapolis Veterinary Specialist clinic. We are so glad that he did, I got the best of care, I know! The day we visited him, I gave him my first place ribbon that I had won at the USDAA trial in April. He was real grateful and said that he rarely gets to see what happens with his patients after they leave recovery. I'm glad we went to see him, he's a great guy, kind, generous, and patient - at least with me!!!! Later that weekend, we took off for another AKC trial - this was my first time on horse stall matting. Didn't do too bad and came away with a DQ and a nice 1st place, and some great MACH points. Then came the middle of May and I began a stretch of 'triple face planting' - or some may say barreling into the triple and face planting my nose into the dirt. This happened at my May 13th AKC trial and then happened again in a couple of more trials later in the year. Scared the beegeebees out of Mum, every time I did it. But I just racked it up to part of my recovery. I had lost a huge amount of muscle mass when I broke my foot, it was going to take me time to get back up to speed - so to speak. I also came up gimpy throughout the next couple of months, many times - way too many to count. Mum discovered I had some nerve damage to my paw and it would take some time to redirect itself - pretty common with a broken bone and just all part of the recovery. But by September it was all gone and I was completely healed. Then it turned into June and what a great Summer it was. Gracie and I had a blast playing in the yard, training and competing in agility, and just being dogs! Mum always gets out the pool (and the sprinkler for Gracie) during really hot days, and we have a blast! You know, my sis Gracie, isn't so bad - as a matter of fact. She's become my best friend. As of March of 2007, we've spent an entire year living together; and now I don't know what I'd do without her. She's loving, kind, sweet, good with any other pups (unlike me sometimes), and always is in the mood to have fun! I admire that about her! 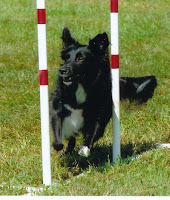 And I run much better in agility when she's there to support me. The beginning of June started with another great USDAA trial. The nice folks at the USDAA office got me entered into the Advanced Gamblers to hopefully get that elusive Gamblers Title, and we did it with style, and a first place. That moved us up to Masters in everything, finally! Also came away with a first in pairs, and a third in standard. Now that we had graduated into Masters Gamblers, Mum had to work even harder with me to work at a distance. She came up with a plan that worked beautifully and still does! Fetching for distance and speed is what she calls it. Not only did it work for me, but it's now become my absolute favorite game in the World. Then just the next weekend we had another AKC trial near our home. At this point of the year, I still wasn't completely confident and it showed in our runs - with some sniffing, a bit of slowness and lack of confidence. We were lucky to come away with a 50% Q rate at this trial! Work still need to be done to build the confidence. But fun, nonetheless! In June some significant things happened - we started a new blog, Rescue Me, to help pups in need find their forever home. It instantly became a hit and still to this day gets more hits and visits than my own blog. We hope it's helping. And if we help just one pup find a new home, we will feel like it's a success! Another thing we did was get our own domain name for our blog. And we started getting a lot of mail, from all over the world - books, postcards, letters and some fan mail. Love it! Also in June we participated in a seminar with Jen Pinder. And dog was that fun! Jen is a very experienced, wonderful teacher and we learned some really great tips to help us with our agility runs. And I had my third birthday! Mum made a really fun video to commemorate the occasion. Then, at the end of the month we had another USDAA trial and this one will be one to remember - it's the trial where I had my first qualification to Nationals - I became a Grand Prix qualifier for the 2007 Cynosport World Games. Something I really didn't expect to happen my first full year in agility, but it did and we were super proud. And we used some of Jen's tips, they really helped a lot - even getting us super, super close to a Super Q! What I didn't know then was that I picked something up at that trial and came down with a bit of gastroenteritis the following week. Not fun, let me tell ya! I was sick for a week. And wouldn't you know we had a trial the next weekend. By Friday I was getting depressed from being so sick. Mum knew I couldn't run, but on Sunday because of my mood, she took me to the trial to just have some fun. We ran a couple of courses, even Q'd in one, but of course I wasn't my usual self. But it did get me out of my depression and by the following week, I was raring to go again. The middle of July brought more AKC trials, and we attended one in Danville, Indiana. This is the trial I called 'beach agility,' the one with all the deep, wet sand. We still managed to get a few Q's on the weekend, but not without some real effort and real soreness from running in 6 inch deep sand. I really liked running in the sand, but it's pretty difficult to get off the ground sometimes to take a double/triple. What I really remember the most about that weekend, is running a nice JWW course and coming up on a triple, I sunk in the sand, just as Mum did too running right beside me, neither one of us could get up enough gumption after that, I trashed the triple and Mum just walked to the finish, with a sore ankle. Then July came around and there were more agility trials, more Q's and even some DQ's. 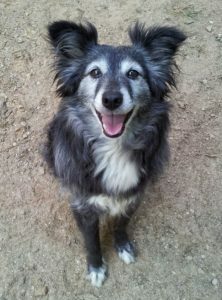 I also entered a contest that TipTail.com was running to get my sis, Gracie, a birthday present. Her birthday is on July 25th. The contest was to write about why you thought you should win, and I wrote about why I wanted to get my sis some pressies. We were lucky enough to win, even with some really stiff competition. Gracie got her presents and was one of the happiest pups I've ever seen! Then the end of July, coming back from an agility trial in Dayton, one of the worst things that could ever happened, happened to us. We were in a car accident coming back from the trial. It was horrible, scary, and we suffered some effects - me some bruised ribs, Gracie some stress/trauma issues and all of us were sore for a couple of weeks. But we lived and we survived. We even got our car back, good as new. The insurance companies are still hashing out fault, but we are just glad that we are OK. The accident inspired me to write about dog car safety - especially after many of our buds asked us lots of questions about it. So we put together a Squidoo lens (one among many) that focused on dog car safety. It's been picked up by several great sites and we are glad that the word is getting out and we are making a difference in pups lives. Just the next weekend we had a USDAA trial - not one of our best to say the least. Mum had to pull me from many of the runs because I was too sore from the accident. But we still came away with one snooker Q. 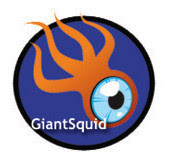 During August, Squidoo (one of our favorite venues for putting together fun and educational webpages) had a contest for Giant Squid. Not only did we achieve Giant Squid status, but one of our lenses was named lens of the day - Our Canine CPR lens - which we were inspired to write when we heard about our friend Tish and how she saved her pup Cruella from chocking one day. It was a hot topic at that point because Oprah's pup Gracie had just recently passed from chocking on a toy. 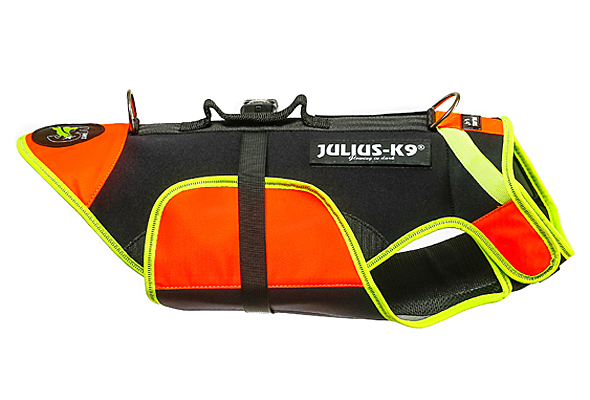 Knowing how to care for your pup in an emergency is soo important. Later in August, I began a significant breakthrough in agility - I started to become really confident. Maybe it was because I was totally over my injury, maybe because we're more experienced, maybe because, because, because.... I started Q'ing more, I was faster and I was more certain about where I was running, and it paid off. I did learn one very important thing, however; don't let a youngster leash run behind you when you're about to run. Makes for a noisy, unfocused, manic, crazy run, and most probably an NQ. Also on August 18th I got my second Q in Steeplechase to qualify in that event for the 2007 Cynosport World Games. Woo Hoo! In September, ABC News emailed and requested that we submit a vid asking a question to Cesar Milan. We jumped at the chance and Mum sent in the vid - it aired on September 9th on ABCNews Online. Also in September, we spend some time training, and having fun in the backyard. Most of you will know that herding birds is one of my favorite passtimes. And Mum finally caught it on tape. Crazy stuff! After my injuries and rehab, Mum got real curious about how to condition me for optimal performance. She searched the Internet and found some great articles and bits of info. She put together another Squidoo lens so that the info would be available to other Canine Athletes. She refers to it often to help me build my endurance and for stretching before and after exercise. On September 21st in Middletown, OH, on one of the most difficult courses I (and many old timers) have ever seen, I got a DQ and got my MX, MXJ. It was one of the best days. The rest of the weekend stunk, but we went to Ohio and did what we needed to do. On to the MACH! Nearly the end of September, Mum and I started another blog - Raise a Green Dog! With all the concerns over pet food and lead in pet toys; Mum and I wanted to share information on how to find safe eats and fun things to play with. It's slow to become pupular, but those that find it really like the blog, and we sure have fun doing it. Then began our record breaking AKC winning streak. An amazing run of Q's and DQ's that we just don't think will ever happen with us again (but of course you never know!). We've talked with a lot of folks around here, and they've never heard of anyone getting 14 straight Q's and 7 straight DQ's in their life. I'm sure it's happened somewhere. But we sure consider ourselves very fortunate, indeed! It started with our October 6-7 trial in Lebanon, IN (two days); continued with the October 26-28 Dayton Dog Club trial at the Circle G in Lewisburg, OH (three days); and ended at the Gem City AKC Trial at Circle G, November 30-December 1. We attended the Lafayette Kennel Club AKC Trial on December 2nd in Lafayette, Indiana and shattered the streak with horrific runs and both NQ's for the entire day. Well, guess it couldn't last forever! But what an amazing run that was! Most of the time we were just stunned. One of my most memorable runs came out of this streak, a great standard course! This course was my first run of the weekend (almost always my fastest), and it just felt like we were a real team, moving in sync, commands out at just the right time, turns perfectly executed, contacts smooth and fast - just one of those feel good runs Mum and I will never forget it. Not good enough for first place against those Ohio pups, but good enough for 5th and we think that's real, real good considering one of the top dogs in the World was running with us. During the streak, we also learned a lot about timer malfunctions and that judges don't always agree in AKC on how to handle them. Check this out! In our October USDAA trial, we had some really great runs. One of them is another one of those runs Mum says she will never forget. Our gamblers run. Not only was it smooth, fast, and together, our gamble was a work of art, and we got first place too boot - beating some of the best dogs in the Midwest. After our AKC streak, the agility season for the year was over. In November we were incredibly honored to interview Chloe, Lee Harrington's pup and author of the pupular book Rex and the City! We had three parts to the interview - one, two and three! And my kittie brother, Wolfie, became a cover model, gracing the front page of Florida Feline Magazine! We took some time off from agility in November and started working on building my endurance, and foundation skills - this continued through December, with our next trial in mid January. We feel it was a great year, but we have so much more we think that we can do! We'd like to qualify again for the 2008 Cynosport World Games, we'd also (if we can get enough trials in) like to qualify for the 2009 AKC Nationals. And if we have the funds, we sure like to attend these events. Mum thinks that we may be ready since I'll be four. Not likely, but definitely would be a plus is to get my MACH next year, if not, definitely the following. And of course it would be incredible grand (but not probable this year either) to get my ADCH, as well. We've got a lot to accomplish, and of course lots and lots of fun to be had. We're also really looking forward to our seminar in February with Silvia Trkman! We just don't know what we'd do without agility in our lives, either one of us. It fits us like glue, and when something fits that well, well it just feels great and you just have to do it! Living life in the face of danger! It's Puppy Mill Awareness Day! This week is National Animal Shelter Appreciation Week! It's Dogs in Politics Day! Agility from a dog's point of view! The Scoop on Doo! (which inspired us to publish another Squidoo lens on the subject of doo! Why do we pick who we pick? And what was my most commented on post this year? It's my Gotcha Day! Thank you to everyone for visiting me on my blog and for being my friend!!!!!! This years trials began on April 7, and ended on December 2, 2007. Qualified for 2007 Cynosport World Games Grand Prix and Steeplechase event 1.5 years into competition at age 3. Don't miss it - 2007: The Year in Animals on Animal Planet! As the year draws to a close, AnimalPlanet recalls that 2007 was filled with some incredible animal stories — from serious issues, to animal triumphs, to quirky pet trends, to animal-passionate celebs, to some downright hysterical animal antics. Join them as they recap the best, and in some cases the most poignant, animal stories of the year. This program aired the other day, but we missed it and you may have too! So we thought we'd tell you about the times that they will be replaying the program. Part of the program focuses on the latest in animal-related product and care trends with Americans spending a record $41 billion on their beloved companions. Christmas - can we do it again? Gracie, Mum and I have had a fun couple of days. Christmas was great! Check out me and Gracie, lovin' our Christmas! The obligatory Christmas shot, Mum wonders why we can't smile, BOL! We got some cool stuff - I got some Salmon Zukes Minis, an AKC squirrel, some Zanies toys and a new martingale leash attachment for agility. Gracie got some Organic dog treats, an AKC possum, and some other Zanie toys. And we both got some great raw Marrow Bones - with a capital MB!!!! But the best part is that Mum had more time to play with us, since she didn't work as much. And she's on a mission to build my stamina. So, what did we do? We went for a couple of three mile walks. And instead of just walking around our neighborhood, we went exploring more neighborhoods and more neighborhoods. It was so much fun! The homes across the main street from us are just huge homes. I think that I'd totally lose Mum in a house that big, and I know that Mum wouldn't want to clean that much - she thinks our house is too much to clean already! But it was fun to visit and check all the pee mails. And we left quite a few messages ourselves. Seems everyone on the street has one of those electric fence things for their dogs. And a few dogs ran up and scared us, but they couldn't reach us. Very weird. Mum and I aren't a big fan of those. We like real fences. On Christmas day a couple of big things happened. First, we three walked down to the pond and the minute we turned the corner, Mum knew trouble was ahead. There were over 200 geese in the area around the pond. Now most of you know that I like to herd. And dog did I want to herd those guys. I lunged, I barked, I went around one way, and then another. Just trying to get to them. But Mum kept me on lead, since there is a road just a little too close for her comfort. But it did give Mum an idea - maybe I'd be a good Goose-Away pup? And I could work even harder to earn my keep! Then later on our walk we met a little pup that seemed to be lost and running loose. On Christmas Day, no less! Mum tried to get her close to see her tag, but she didn't want any part of Mum, not even when she had treats. We hated to leave her, but then she started following us, so we kept on. When we got a house or so away, she started back. Mum thinks she lived in one of the houses there. Hope so! Yesterday, we went through the woods that is in the center of the development, a nice little path. It was muddy for Mum, but Gracie and I loved it - so Mum played along. I like that about her. She'll get all dirty just for me! It's supposed to be in the 40's for the next few days, so hopefully we can get in more long power walks. We're about to go on one as soon as I get off the computer. And Mum says we may be able to do agility in the backyard tomorrow. Yeah!!! We want to thank everyone for all the really cool gifts and cards you sent me and Gracie. We love all of them, they are beautiful, and thoughtful, and everyone seemed to put so much love into them. And we really hope you all had a great Christmas too! And have an outstandingly, pawsome New Year! Out for your daily walk, leaving pee mails, and out of nowhere comes another pup, loose from a leash. He attacks you! You got lucky this time, you are only off to the emergency room for some medicine. Enjoying your favorite treat, when the next day you don't feel so good. The treat has lodged in your intestines and you are rushed into surgery. Your peeps have no choice but to board you with a trusted doggie day camp, because they have to go out of town on business. When they pick you up they find you can't walk because you have a broken foot. Will you be able to do agility again? While minding your own business at the dog park, romping around and having fun. Out of the blue a pack of dogs descends on you and you end up in the hospital - it's touch and go for a few days. Out running a fun agility course and enjoying your favorite thing in the world. You take a wrong step and there goes your ACL. Out of agility for maybe six months. Driving back from your favorite activity, when suddenly your car is smacked broadside. Not only are those moving monstrosities dangerous when you are outside of them, they can be just as dangerous when you're inside. Herding sheep one day, doing what you do best. And voila, a sheepie steps on your foot and it's broken in two places. 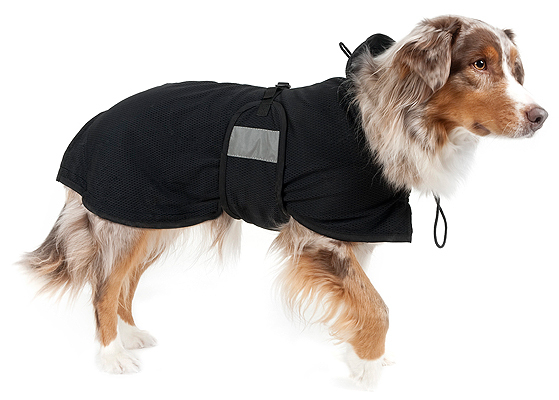 Barking up a storm, you alert your peeps to strangers lurking outside. Months later, you're evicted from your home. While having a great swim, you accidentally ingest some blue green algae. Now, it's off to the hospital! At an obedience trial, you smell something wonderful on the ground. You lick it up and three days later you're at the vets with a nasty case of gastroenteritis. You find out your favorite toy is made in China and has high doses of lead - bye, bye favorite toy. 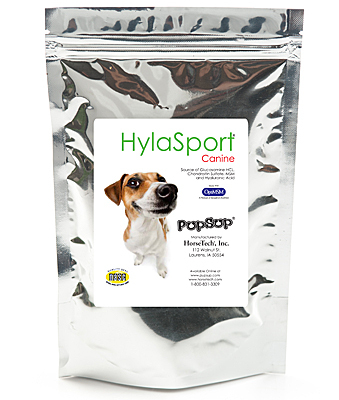 The food your best friend and their two-leggers have trusted for years, suddenly has an ingredient that sends them on a furever trip over the Rainbow Bridge. Your two-leggers are devastated, sorrowful, and will miss you greatly. And there are so many more...we've all heard the tails. The world is a very dangerous place. Is there no place safe? And, what's a pup to do? Do we live in glass cages for the rest of our lives, protected from all these ever present dangers. Do we become so isolated that we can no longer be dogs? Do we not go out of the house, anymore? Are we going to have to be deprived of our favorite activities? Do we grow and raise our own food, so that we know it's safe? Are the only toys that we can enjoy, those that our two-leggers hand make from materials they know are safe? But do any of us know what is really safe anymore? More and more dangers are getting noticed every day. I want to play with toys. I want to play with other dogs. I want to take walks. I want to do agility. I want to enjoy more activities. I want to experience the World. And, I want to be with my Mum, as long as my naturally aging body will allow. In reality, the World has always been a dangerous place. It's just different kinds of dangers now. No longer are we on our own, running loose, having to fend for our own food (which could be contaminated, by the way), fighting off killer enemies right and left, not getting the medicines that we need to fight off disease, and living much shorter lives. Now, with the significant advances in veterinary medicine, dogs are living much longer and healthier lives; and able to spend much more time with their loved ones. I am grateful for that. And there are wonderful, concerned citizens that spend countless hours helping to protect us from the new and ever present dangers in the World. For that I am extremely grateful, as well. But there is one thing I know for certain - and that's how I'm going to live my life. I am going to live a healthy, happy life as best as I can. I am going to experience all that I can, learn all that I can. Yes, I'm going to be vigilante, and keep a careful eye out for dangers, avoiding them as much as possible. But dangers can be anywhere and can happen when you least expect; they are a part of life. I have to realize that I, and my Mum, can't protect me from every danger out there. It's unrealistic. And I'm not about to let 'the World's dangers' deprive me of what I was born to do, and be. So I've come to the conclusion that I am going to live the life I am dealt with, the one I am destined to live - whether it be short or long; and I am going to live it, with my Mum, with gusto. I am going to be a dog! Virtual dog helps teach colorado vet students accupuncture! FORT COLLINS, Colo. (CBS) ― Students at the Colorado State University veterinary school are helping to create a virtual dog as a way to teach people how to properly give animals acupuncture. The treatment is becoming more popular with veterinarians to treat a variety of conditions, reports CBS station KCNC-TV in Denver. Merry Christmas to all our friends - we hope you get lots of treats, toys, warmth and love! DVR Alert: National Geographic's DogTown goes behind the scenes at the Utah-based sanctuary for dogs! Dogtown, the National Geographic Channels new Series Goes Behind the Scenes at Sanctuary for Hundreds of Dogs in Need, From Puppy Mill Rescues to Canine Medical Emergencies. In this country alone, between 3 and 4 million unwanted pets are euthanized every year. But there is one place where man’s best friend always has hope: Dogtown. One of the largest no-kill animal facilities in the country, Dogtown is located on 33,000 acres of Southern Utah canyon country. The sanctuary — run by the Best Friends Animal Society — hosts hundreds of dogs from all around the country, along with cats, horses, rabbits, goats and various other farm animals — about 1,500 animals at any one time. Premiering Friday, January 4, at 9 p.m. ET/PT, each episode of National Geographic Channel's (NGC) new series Dogtown takes viewers on a journey inside the bustling grounds to meet the dogs and the skilled professional team dedicated to ensuring that even the toughest cases survive. A puppy mill — a facility that mass breeds dogs — is raided by Nebraska state authorities. Over a hundred and seventy dogs are found in terrible conditions. Dogtown arranges an emergency flight for trainer Sherry Woodard to bring back some of the most traumatized dogs. An older chow named Bruno heads to Dogtown for much-needed medical attention. His extensive ailments include a sunken eye and balance problems — symptoms indicative of a possible brain tumor. A 1-year-old bulldog named Wiggles arrives at Dogtown from a California shelter with unusual symptoms: he falls frequently and can’t control his bowels. Head veterinarian Mike Dix must determine if Wiggles’ condition is life threatening, or if he’s stable enough to live in a home. I've been honored with the Good Buzz Award from Mike and Tish over at BlogsWeLuv. It's a great site that reviews all types of blogs, from two-leggers to four! The Good Buzz Award is intended “for blogs that have generated a happy hum in the blogosphere. Whether it be for their blog in general, one outstanding, unusual or controversial post, or for something cool the blogger has done.” This award originated at Polliwog’s Pond and the proper linking code can be found there. Thank you so much Mike and Tish! Now I'd like to bestow this award to my Twitter buddy and friend Freda over at DeltaBunny, she shares our love for the environment and let's us know about cool things we can do to help 'save the Planet'. Honda Element named Dog Car of the Year! Some cool folks over at DogCars.com do a great job of reviewing all the latest cars and how dog-friendly they are. 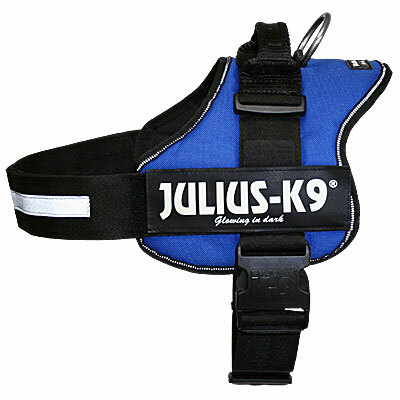 They try them out, test them, use them for awhile with their pups and give their reviews. 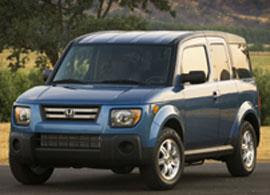 Now they have named the Dog Car of the Year - the Honda Element! If you are looking for a new or even used car, be sure and check out their website and blog and learn if the next car you are thinking about is a dog-friendly car. Keep safe out there. K? And don't forget to secure your pup in the car! Putin wants Sat Nav collar for Koni! MOSCOW (AFP) - Russian President Vladimir Putin is considering buying a satnav dog collar for his labrador, Koni, in case she gets lost, the country's deputy prime minister revealed Monday. 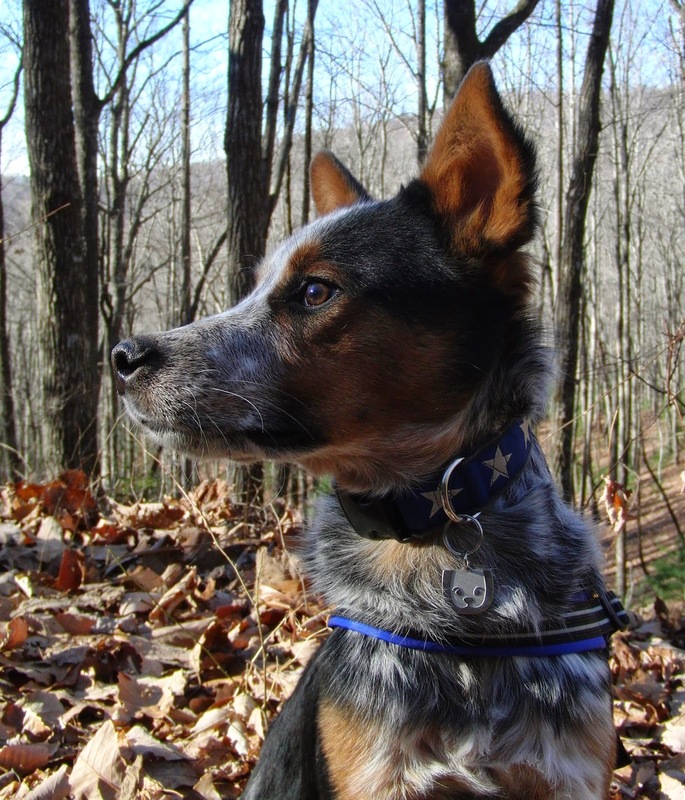 "When can I get a system for my dog, Koni, so she can't go too far astray? ", Putin asked Sergey Ivanov, when the deputy PM presented plans for launching three new satellites. "Dog collars will be in the shops from July 2008," Ivanov replied in all seriousness, according to the news agency Itar-Tass. The Russian rocket Proton-K is due to launch three new satellites into orbit on Christmas Day to facilitate Russia's GLONASS navigation system. They will bring to 18 the total number of satellites mapping Russian territory. Ultimately it is planned to have 24 satellites in orbit from 2009. The GLONASS system was developed by the Russian army in the 1980s, in competition with the US GPS network, and the European Galileo system. Well the holidays are here! And I've managed to get that extra pound off I got around Thanksgiving already. Now I'm just at my perfect weight for agility! Around the first of the year Mum changed my food, to a higher protein diet from Fromm's. I absolutely love this food. And it helped me build a lot more muscle, giving me more endurance and speed in agility. Then around Thanksgiving, Mum had a hard time keeping me out of the kitty litter - that's how I gained the lb. But since Mum put the Dyson in the doorway to the litter box, I've totally kept my distance from that horrendous thing! And I lost my lb. If any of you have kitties, Mum uses just about the best kitty litter in the world - as a matter of fact it's called World's Best Cat Litter. Not only is it environmentally friendly, but anyone who comes into the house doesn't even have a clue that we have a litter box. And our neighbors, who cared for the kitties once while we were at an agility trial, just had to know what kind of litter it was because it clumped together so well. We highly recommend it, especially if your pup gets in the litter sometimes, because it's the safest kittie litter for us to digest if we do digest any (hopefully not! ), because it's made out of corn. There's no such thing as a bad dog! DVR Alert: Are you a genius? We share the planet with 400 million dogs: toy dogs, working dogs, champion dogs and artistic dogs; dogs who know what to do in an emergency; and dogs who know their way around a couch. For over 12,000 years, they've been our essential survival aids and our constant companions. But how smart are dogs? Most dog owners would say they're geniuses and point to their pup as living proof. National Geographic joins scientists and dog trainers to explore the dog smarts in surprising new ways, unlocking the truth about man's best friend. Barbara Smuts thought this dog owner must be a crackpot. The woman from Maryland kept insisting her dog was going into the backyard and arranging his many plush toys into geometric shapes of circles, parallel lines and triangles. Come on, you must be helping him, responded Smuts, a psychology professor at the University of Michigan who studies canine social behavior. And if you're not, the neighbors must be playing a trick on you, she said. The woman steadfastly ruled out Smuts's reservations, and the professor eventually flew to Maryland to visit the woman and her dog, Donnie. Smuts now believes Donnie is, in fact, creating the displays. Cable TV viewers will be able to make up their minds about Donnie on Sunday, (December 23) when he and Smuts will be featured on a National Geographic Channel documentary called "Dog Genius." The show airs at 8 p.m. and 11 p.m. EST. Maybe you didn't get what you want for Christmas? Big sales are gonna be going on, some are going on now! Be sure and save this just in case - great online deals just for us pups! Check out Doctors Foster and Smith online deals for some great deals on toys, and other cool gifts. And find Montgomery Ward coupons for free shipping on some really nice beds. One more? Visit OnlyNaturalPet deals for great savings on some of my absolute favorite all natural treats, organic toys and beds, healthy foods and more! 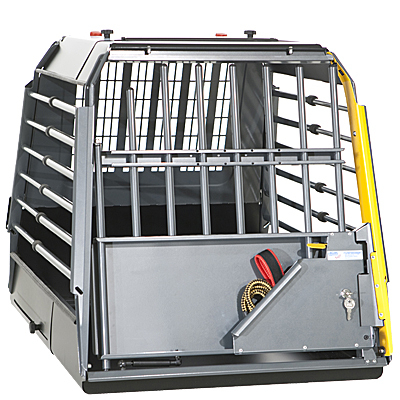 Free trial issue of Clean Run - for you agility fans! 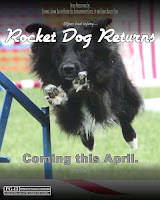 Hey agility fans - or wannabes - did you know that Clean Run offers a free trial issue? Yep, that's right and this one is for December 2007. If you've ever thought you'd like to see what Clean Run, the foremost agility magazine, now is your chance! Get the free trial issue! Mum and I both value good training - me with my agility, and tricks, and Mum with pretty much anything she can get her eyes on. She loves soaking up information. Kind of like me! Always on the looking for something good to sink my teeth into. Being dog people that we are, Mum knows the value and importance of being home with me. She's thought sometimes about wanting to add to her education. But being away from me, my sis Gracie, and kittie bros, made it a definite no in her book. But there is an alternative. Getting that MBA online. Online Learning could be a great way for Mum to extend her education and be able to stay home with us too! This blog post is based on information provided by Blogitive. For more information, please visit Blogitive.com. 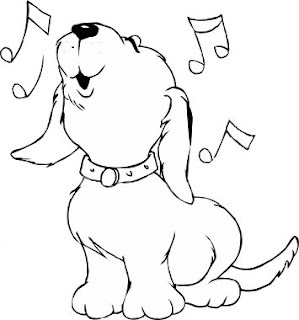 Looking for a few doggie carols to take on your caroling trip this week? We'll we've got some goodies! Mama has returned from the mall! Key West, a dog friendly city! Mum and I were talking to a good friend today. What came up in the conversation? We need a vacation! Both she and Mum work from home, don't get out of the house much, and really would like to take some time away with us pups and have some fun! So what did Mum do? No, she didn't schedule a vacation, but she went looking at some sites to find out some of the most dog friendly cities and what they have to offer. To some get on with dreamin'. What did she find? One place she has always wanted to visit - Key West, which just happens to be listed as one of the top dog friendly cities of 2007. I'd definitely want to check out Hemmingway's House, just to give the kitties a good chase. And I'd love to go and check out Lazy Dog Outfitters, Kayaks and Boat Charters. One of my favorite things is canoing and kayaking! Mum and I did that my first year on the White River and had a blast! Of course we'd have to find a nice hotel that allows us pups, perhaps Cheap Hotels to save a few bones. There are tons of outdoor restaurants in Key West that allow pups, which is wonderful. Mum would never have to leave us, and maybe we'd get to clean up a few leftovers. We hear there's a nice little dog beach and dogs are allowed at the Dry Tortugas National Park, where we could get in some great exercise. We could even visit the pup-friendly Key West Aquarium. And I bet there just may be other attractions and activities that would allow pups too! For now we'll have to dream of Trusted Tours and Attractions - too much work going on; but if we're lucky, maybe next year! 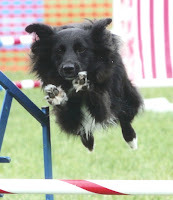 A lot of other pups and two-leggers have asked me about the foundation work Mum and I do for agility. So we thought it was about time we did a post about it. And I'm sure it will be just as fun to read it four years from now and write again about what we've learned going forward. 1. the basis or groundwork of anything. 2. the natural or prepared ground or base on which some structure rests. With that in mind, Mum and I have a definition. It's anything - behaviors, movements, actions, stimulation, reactions and responses (we'll call them collectively, skills) - that is and will be the building blocks for agility. That's a lot, we know. But we believe that no matter your level and experience in training and competing - from beginner to expert - foundation skills can always and should be a large part of your ongoing agility training program. Mum, Gracie and I work on our skills every day, throughout the day. Believe me, Mum and I are by no means experts in agility. We've only been competing for two years and training for two and a half years. We have been incredibly lucky - we chose something to do together that fits us like glue. We have always soaked up what was taught us like a sponge, applied skills we were taught, and we practice. We have an incredible bond and it shows in everything we do together. Some say Mum and I are naturals at agility. Because of this we have been able to pretty well, pretty quickly. Yes, we have our bad days (or months!) and believe me such success isn't the case with other things in our life, but we are proud of what we have done, and still hope to accomplish, in agility. When you are new to agility, understanding what foundation skills you need for agility is beyond comprehension. We know, and we've been there. That's when you rely on trainers, classes, books, magazines and DVD's. But there is nothing more important than knowing you, your pup and your relationship. Knowing and being keenly aware of this at all times will most certainly get you much more further in accomplishing your goals, whatever they may be. On the first day after Mum adopted me at 12 weeks, I learned my first foundation skill. I didn't know it then, because agility wasn't even a twinkle in my eye. But that foundation skill has been very important in every run and every class and every practice we have done in agility in the past three years. What was the skill? It was 'sit'. And how do I use it in agility? Mum has me sit and wait while she walks the course for training, and she has me sit at the start line before I run, and I sit on the table sometimes during an AKC run. 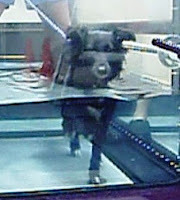 Who would have known that learning such a simple behavior would be so important in agility? Sit - sit at start line, on table in AKC. Stay, wait - at the start line for a lead out and on the table. Lie Down - on table in AKC and USDAA. Turn - turn out from Mum, based on the direction of her body/shoulder to take next obstacle cued. Right and Left (turn) - then taking next obstacle cued. Come - for me it means come in veering toward Mum to the next obstacle in front of me. Here - means turn/come in tight toward Mum, like jumping tight around a jump. JoJo (YoYo)/look - means look directly at Mum for specific direction to next obstacle - good for discriminations. Around - for two jumps next to and in line with each other, Mum gives me an around command, take the first jump going out and the second coming in. Obstacles - Mum has taught me all the names of the obstacles, so that if she says walk - I know exactly which obstacle to take, and so on. Go - for me it means go on to the next obstacle in front of me on my own - see this post on how Mum taught me go! Go (obstacle name) - for me it means go out or get out to a specific obstacle that Mum names, used in Gambles in USDAA or when Mum can't get there with me (sometimes she's slow, BOL). Danger - I run and sit between Mum's legs - good for lining me up at the start line; sometimes if our start is delayed with timer issues and so on, and I'm getting bored or a little nervous, Mum will have me go around her leg and do Danger again; keeps me occupied and in total sync with her, gets me wound up too! Easy - Mum doesn't use this much because she likes to keep my speed up and I'm pretty good with my contacts and staying on the table, but for those days that I'm incredibly wound up, she'll use them for both obstacles. Look - look directly at Mum, good for when we need to focus on each other before a run or when there is another dog/person that Mum wants me to ignore walking by. Touch - touch Mum's hand; this was great when I had classes and would become manic watching the other dogs run; kind of like a 'give me a job to do' activity and to get my focus. Target - we use this a lot for fun games at home and at times in training contacts (Mum trained me with running contacts, so Mum puts the target out about 4-5 feet from the contact yellow); many use it for targeting closer to the end of the contact for waiting contacts. Body movement in agility is everything. Us pups take all of our cues from the movement (or non-movement, BOL) of our handlers. A shoulder drop to the right, we'll move right, same with the left - a bend over by the handler and we'll go forward; feet pointed toward the tunnel, we'll take the tunnel. So understanding, practicing and syncing your body movements is really important to running a smooth, easily understood course. Most all call this 'handling'. With all handling skills Mum and I started close in - meaning I was close to her. As we progressed, Mum taught me the same skills further away from her, little by little - laterally. What are the foundation skills I was taught for handling? Front and rear crosses on the flat. Turn - turn away from Mum. Mum turns left, I turn left - no matter how far laterally I am from her. Mum turns right, I turn right - no matter how far laterally I am from her. Back up - Mum backs up, I come more in toward her, no matter how far laterally I am from her. Stride shorten - Mum shortens her stride, so do I.
RFP (Reverse Flow Pivot) - this is sometimes called a fake out, Mum acts like she is turning right, or backing up, to get me to pull into her (or the opposite), then continues on in the opposite direction. This works well for us with obstacle discriminations. There are all kinds of reactions and responses that can occur at practice and at trials because of all the stimulations and actions going on. Other dogs, smells, missed, slow or conflicting cues, noise, you name it it's there! All kinds of undesired reactions and responses can occur from these stimulations and actions; lack of speed, attention and enthusiasm; spinning, sniffing, lack of accuracy, running off in the ring, barking and more. Over my short agility career, I've had a few undesired reactions. Of course I'm sure Mum and I will have other issues crop up throughout our years in agility, but what we have found so far is that many of the sniffing, and lack of speed and enthusiasm I have experienced in agility, was all because of lack of confidence. Lack of confidence in my Mum's ability to direct me appropriately, my lack of confidence in new situations, places and around other dogs, obstacle confidence, and my Mum's confidence in me and my abilities. To help me (and her) build confidence, Mum now works really hard to be sure I know exactly what I'm supposed to do on the course so I don't have to think, just do - no wishy/washy cues, no jerky cues, no indecisive cues. She tries hard to be deliberate which makes me deliberate. Confidence comes with experience, practice, and time. And she makes sure that I'm totally focused on her at practice, walking to run the course at a trial, all the time, every time. It's just me and her - no one else. Sniffing - when I'm at trials and training, I love to sniff - mostly to find all the treats left behind by the previous teams. Mum makes sure that she always has treats for me (I'm incredibly food motivated, which is why I probably sniff in the first place). She works with me constantly during training and before and after runs to keep my attention with her, and she uses the treats she has as a reward. Lake of speed and enthusiasm - yes I've had my share of slowness. I went through about four months of the summer of 2006 pretty darn slow; many times not making course time. Within the past 9 months, though, it has been rare. When I do have some slowness, it's usually because I've ran a lot that day, we've traveled too much and I'm tired. (Mum needs to help me build up my stamina). Or, I'm getting cues from Mum that aren't making me feel very enthused or confident. Like many newbies, Mum felt pressured in the beginning. She's a perfectionist and is competitive. But, since my last injury, Mum's attitude toward agility has changed a lot. There was about four or five months at the end of last year and the beginning of this one, when Mum and I didn't know if I would be able to do agility anymore. But after my injury, we both felt like 'we're just happy to be doing our favorite thing'! And that's how we now look at each trial, each practice. It's helped both of us a lot - giving us more confidence, energy, excitement, and desire - and it's shown in my speed, consistency and energy. Many pups will have a wide variety of reactions and responses from a wide variety of stimulations and actions going on around them. Gracie has much different ones than I. What Mum and I think is that by watching your dog, paying close attention to what you are doing and how your dog is reacting - tuning in to your dog, you will be able to understand why the undesired responses and reactions are occurring. Get advice from a trusted source if you need to, but always remember no one knows your dog better than you. Be patient and work through your issues - sometimes it takes time, experience and maturity. Be positive, all the time, every time. This is a fun time to spend with your pup, value and embrace it. 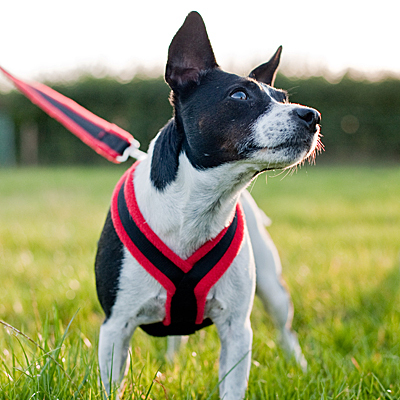 Use a clicker - it's one of the best ways to teach your pup. Make training sessions short, don't overdue. Never slow your dog down (Mum wishes she would have been taught this in the beginning). Set your standards and make a plan to achieve your goal, no matter how small or large. Never stop learning, 'cause learning is fun! Never stop listening to your pup - they have a lot to say if you pay lots of attention. Always pay attention and practice the basics, and learn new ones too - they are your foundation for which you build upon. Mistakes are a part of learning, and most all of the time they are the fault of the two-legger. Mum even says I never make a mistake, only she does. That's right Mum! Be consistent, be deliberate, be sure about all your directions and commands. Be kind and respectful to your fellow competitors, dog politics just ends up hurting the pups. Play with your pup, learn tricks, build a bond, get close and get to know your pup and have a wonderful relationship. Have lots and lots and lots of fun! I'm sure that not everyone will agree with what we've said here. And I'm sure that we've forgotten to mention some important stuff. Feel free to share your thoughts, ideas, successes and lessons learned. But fur sure, this has been really fun sharing what we've learned so far about foundation skills. Hope you enjoy it! Let's find this dog a home where he'll be loved by all." Click to give this Holiday season! We wanted to remind you to "Click to Give" this Holiday season! 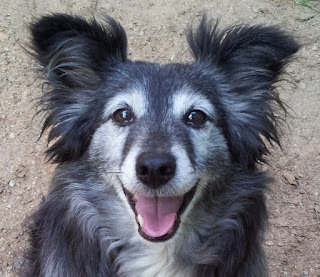 Each click on the purple "Click Here to Give" button at The Animal Rescue Site provides food and care for a rescued animal living in a shelter or sanctuary. Funding for food and care is paid by site sponsors and distributed to animals in need at the Fund for Animals' renowned animal sanctuaries (including Cleveland Amory Black Beauty Ranch in Texas and the Wildlife Rehabilitation Center in California), pet shelters supported by the Petfinder Foundation, North Shore Animal League, and other worthy animal care facilities supported by the GreaterGood.org foundation. So don't forget! Click to Give this Holiday season! To sad to think about...but often in the back of my mind. Way too many of our friends have passed to the Rainbow Bridge this year. It is so sad and heartbreaking, but comforting to know that they are in a place with no pain and no fear, and that they can run free and be with their other friends who have passed. Mum thinks about the time when it will be my turn to visit the Rainbow Bridge. Hopefully it will be a long, long time from now, and we will get to spend many, many more years together. But we never take for granted the time we have together now. We are lucky since Mum works from home, because we spend nearly every waking (and sleeping) moment together. I like that and hope it can always stay that way. Mum tells me every day how grateful she is to have me in her life. Gracie, Wolfie and Wiggy too. Even on days when we are not the best behaved pups or kitties. Mum also thinks about what she would do when it is my time. She has definitely decided that she would have me cremated, Gracie and the kitties too. Why? Because then she could always have me with her, even if she moved from town to town, house to house. We came across a site the other day that has all kinds of pet urns to hold the ashes of those who have passed. They are nice dog urns, respectful and tasteful. 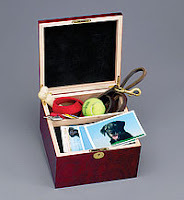 We especially liked the photo pet urns and the memory box urns. Mum already has started a memory box for me, where she put my baby teeth, my first collars, a flyer from my first doggie event and more. Give your pups a really, really big hug-a-roo. You just never know when it will be time. Hide and seek with your pup! One of mine and Mum's favorite games during the really hot and really cold days when we can't go outside is to play hide and seek! Not only is it fun, but it stimulates my mind, and is a great bit of good exercise. Sometimes for bored pups, and believe me I get pretty bored sometimes, stimulating the mind is a great way to keep us occupied and happy, when it's a difficult day to get a bunch of exercise. We found this great vid demonstrating just how we play hide and seek and wanted to share it with you! Enjoy and go hide!!!! You may remember I posted about how much I love to help Mum do the laundry? Well, she decided to start teaching me how to really help her especially with the Whirlpool dryer part - 'cause I was just really gettin' in the way before, BOL! She's teaching me to pull the clothes out of the Whirlpool dryer, and then give them to her so she can fold them. Isn't that too cool. No video yet, but we hope we can show it soon. Seems there are other dogs out there willing to help with the laundry and pull out clothes from the Whirlpool dryer! Check this out! 1. Two-leggers who are negligent and abusive to pups. 2. Those that own and run puppy mills. 3. Two-leggers that fight dogs. 4. Those who chain dogs outside. 5. That there are way too many pups in shelters and rescues that need homes. 6. Those that think certain breeds are dangerous. 7. That our time here on earth with our humans is very much too short. Now I tag several of my friends, if they are interested in participating! Mum had never been much of a cook. She was raised vegetarian and continued that practice until about 10 years ago, when she started adding in some lean meats and such. Sometimes she loves cooking up a big pot of veggie stew, especially on cold days like these. And, oh dog, I love it too when she gives us a taste. She usually fixes it up and cooks it on the stove. 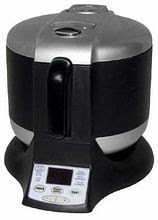 But she could use a slow cooker like many of our friends. We don't have a slow cooker since we don't cook much. But we've read about some recipes for people and pups made with a slow cooker that are just out of this world - with veggies, chicken, taters, carrots and more. Sounds yummy for a nice treat! Oh boy, have we had fun in the snow this weekend. The snow started off light and airy at first and Gracie and I couldn't wait to get out there! Then by afternoon it got even heavier and we ventured out, it was up to the tops of my legs. Then I had to have my favorite ball which Mum had thought she had safely put up on the table! But no, the ball was safe no more! Gracie and I quickly got on with wrestle-mania! Then it was off for a good chase-a-roo-nie! Then of course I had to check out some of the birds flying around! Then Gracie went after my tail, no not the tail! Then it was inside to clear all the ice balls - those wretched things!